Does The 12-Step Program Actually Work? The 12-step programs common to AA (Alcoholics Anonymous) and NA (Narcotics Anonymous) have helped people with their addiction and recovery needs for decades. Undoubtedly, they’ve contributed to the recovery process of many addicts, providing a basis for helping them back on their feet after struggles with drugs and alcohol, through personal inventory and reflection, making restitutions, and helping others. But are the 12 Steps all they’re cracked up to be? There are two sides to the story. About 23 million Americans struggle with addiction to drugs and alcohol, and many of them turn to organizations like AA and NA for help. Many rehab centers and addiction recovery support groups tout the 12 Steps at their meetings as a way for members to stay sober. Unquestionably, the program has saved lives, but it’s not for everyone, particularly when it comes to the spiritual components of the steps, which can present a confusing and uncomfortable feeling for some. The program requires a recovering addict to gain a sponsor who can guide him or her to enlightenment through the acknowledgement of God. Many people seek out alternative forms of therapy and support that do not contain the spiritual elements inherent in the 12 Steps. Psychology Today points out, however, that the reliance on God in the 12 Steps is a misconception and that people are simply asked to look to a higher power for behavior changes, and that can involve anything from a religious being like God to another outside force like nature. Recovery groups will have various takes on spirituality, so it’s important to find a group that gels with your beliefs. 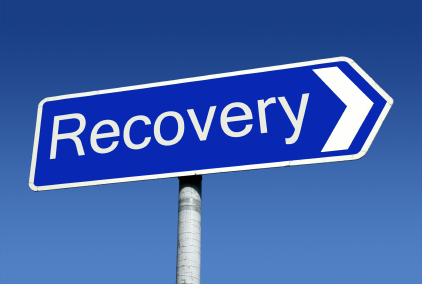 Despite the success stories of many addicts who participate in the program, there is very little scientific evidence documenting how the 12-step program effectively contributes to recovery. Although anecdotal evidence is abundant, the scientific and recovery communities are still very much divided on the statistics. This doesn’t mean the 12-step program doesn’t work; it just means the research is vague. National Geographic outlines research that explores the need for humans to have healthy emotional attachments, especially during times of stress and crisis. In particular, the need for social and human interaction is based in physiology, contributing to the nervous system’s overall well-being. While psychical addiction therapy in a clinical setting can help patients emerge from the immediate effects of drug and alcohol addiction, the 12 Step program provides an ongoing healthy community where people can come together and connect on an emotional platform with others. Scientific American says about 2 million people within 115,000 groups around the world are members of AA. However, 40 percent of them drop out of their groups during their first year. Still, some studies have shown that alcoholics may benefit from some type of structured program like AA and the 12 Steps, especially when used in tandem with professional treatment. The overall feeling is that the 12-Step program is, for many, a lifesaver, offering a new way of life that some recovering addicts can lean on to get better, even if statistics proving its effectiveness remain elusive. Frank Gordon is a freelance health blogger and writer living in Scottsdale, AZ. Frank suggests that curious readers click here to learn more about recovery from an established and reputable provider in this niche. Image credit goes to How Matters. Previous story Are Clowns Still Hired For Birthday Entertainment?